The experimental testability of the Kochen-Specker theorem is a subject of ongoing debate, to which Jochen Szangolies contributes a novel way of dealing with the problem posed by realistic, that is, noisy, measurements. Such noise spoils perfect compatibility between successive measurements, which however is a necessary requirement to test the notion of contextuality in usual approaches. 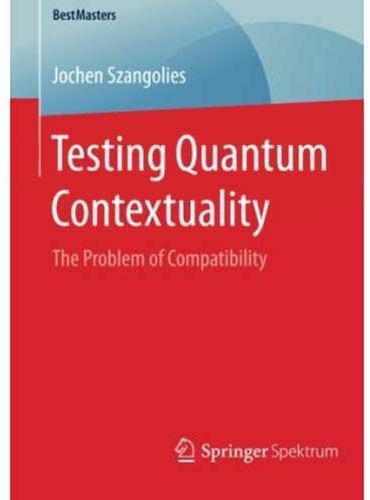 To overcome this difficulty, a new, extended notion of contextuality that reduces to Kochen-Specker contextuality in the limit of perfect measurement implementations is proposed by the author, together with a scheme to test this notion experimentally. Furthermore, the behavior of these tests under realistic noise conditions is investigated.